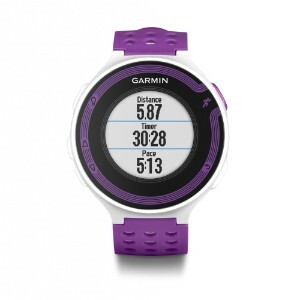 - GPS running watch with high-resolution color display. - Tracks distance, pace and heart rate. - Connected features: automatic uploads to Garmin Connect, live tracking, social media sharing. - Compatible with free training plans from Garmin Connect. Forerunner 220 automatically uploads your data to Garmin Connect even when you can't get to a computer. Get the free Garmin Connect Mobile app on your smartphone² and then pair it with your watch. When you save your completed run, it will automatically upload to Garmin Connect when you’re in range of your phone. It also features live tracking, which allows your friends and fans to follow along and see your stats in real time. You must have your phone paired with the 220 throughout your run to use LiveTrack. You can also share your victories through social media with the Garmin Connect Mobile app. And, for real-time coaching as you run, the 220 is compatible with free training plans at Garmin Connect. By regularly connecting your watch to Garmin Connect, you'll also benefit from a faster GPS fix due to satellite data that will be sent to your device automatically.